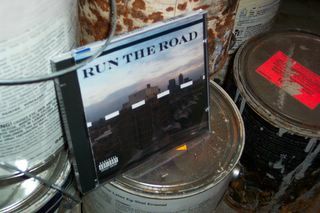 My review of the Run the Road CD for Punknews.com follows. Grime, the new hip-hop mutation out of London, isn't just the sound of today. It very well may be the sound of the next decade. Many people will recoil from grime's cold, threatening vibe. But those who dismiss grime will be missing a revolutionary step on the ladder of popular music's evolution. Even if the grime artists contained on the stunning Run the Road compilation don't break out, stars like Missy Elliott and Gwen Stefani will modify the style for their next releases. Most of the ruthless recordings on Run the Road seem as if they were made in a post-apocalyptic underground bunker. They sound like a mash-up of Bring the Noise, Joy Division and Lee "Scratch" Perry compressed into cell phone ring tones. Like American hip-hop, grime is filled with violent images of guns and gore. But the frigid musical tone allows the music to address matters beyond the immediate subject matter. For instance, even as Jammer berates an adversary, the music seems to be making a global commentary about end times. It's the ideal soundtrack for a tense, bomb-weary London. This is the sound of danger in 2005. Among the many highlights is Demon's toxically radiated version of Newcleus on I Won't Change. Kano, Dizzee Rascal and Durty Goodz, in a trait common to grime, sound like a British version of hip hop speedsters like Twista and Tech N9ne. Riko and Target's Chosen One, with its threatening take on Jamaican dancehall, is a musical wormhole into the future. Mic Fight, by Kano, is the song most likely find an audience at American hip hop stations. The theme of an MC fight escalating into violence is a familiar theme, and the frosty Asian backing track is infectious. It's not all perfect. Shystie's One Wish is what R Kelly would likely come up with as a grime producer. The absurd commercialism of Cap Back, by Wonder & Plan B, sounds like an exaggerated P. Diddy. Lady Sovereign's Cha Ching is beyond irritating. Imagine Hello Kitty as a crack addict and you're halfway there. The version of the Street's Fit But You Know It is a vastly reworked remix. It's stripped of everything that made the original hilarious and fun. 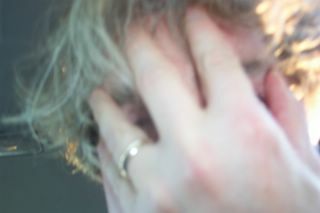 Levity, along with sexiness, is in short supply here. And that grim vision may limit grime's potential. It's all tension and no release. Let's hope our future is filled with sunshine and peace. But for now, Run the Road defines our times.